Took a while to get the hockey timing back but shooting the Mann Cup Lacrosse and Kraft Hockeyville in the past two weeks definitely helped. Nice to be back in the arena and the Royals look like the have a fast team that already enjoys being around and playing for each other. 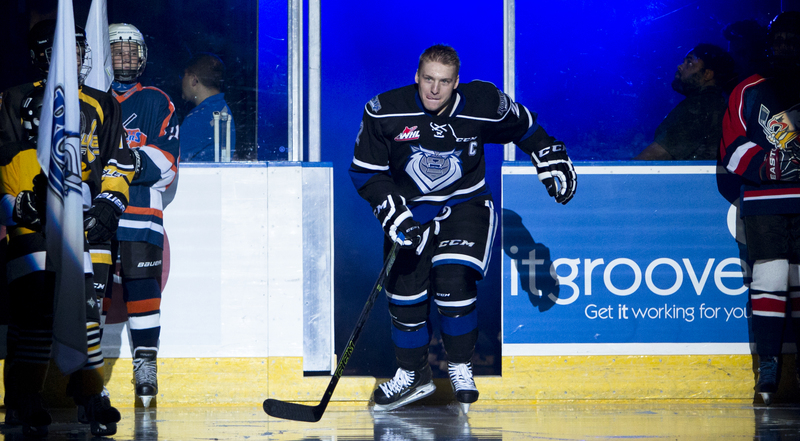 Joe Hicketts of the Victoria Royals skates onto the ice ahead of beating the Portland Winterhawks 4-1 in the opening game of the 2015/2016 Western Hockey League season on Friday September 25 at the Save-on-Foods Memorial Centre in Victoria, British Columbia, Canada. 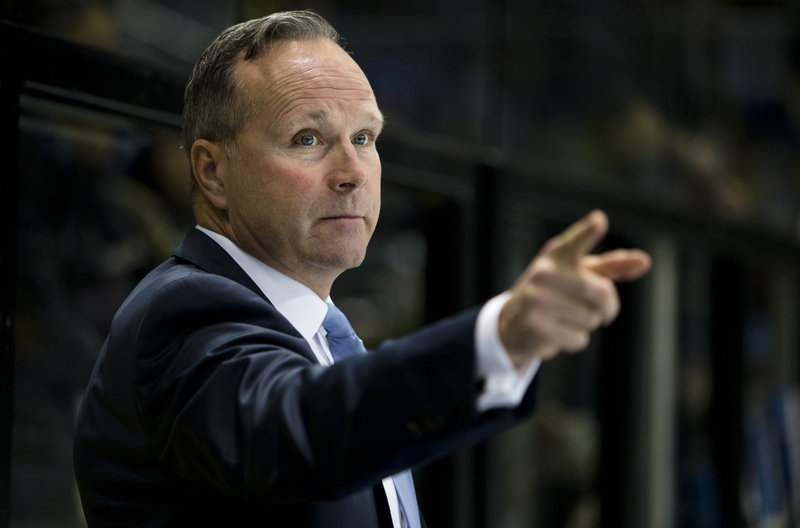 Victoria Royals Head Coach Dave Lowry gives his team some pointers from the bench. 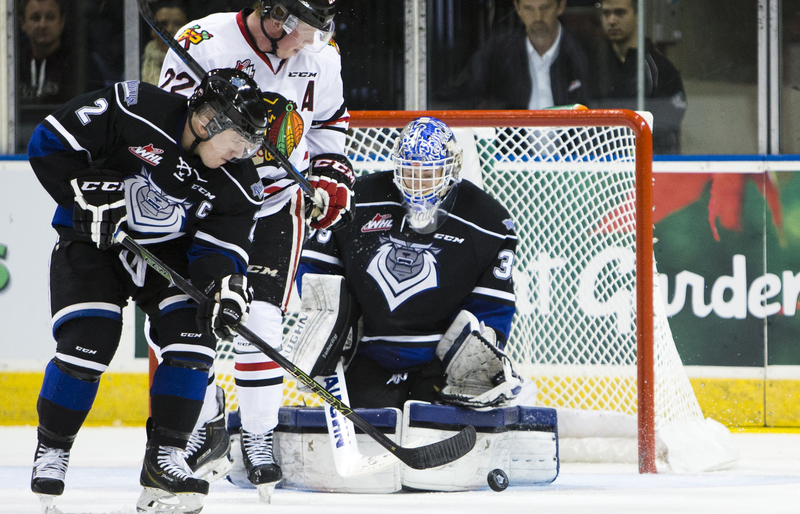 Victoria started 20-year old goaltender Coleman Vollrath in net who stopped 21 of the 22 shots that he faced in the win. 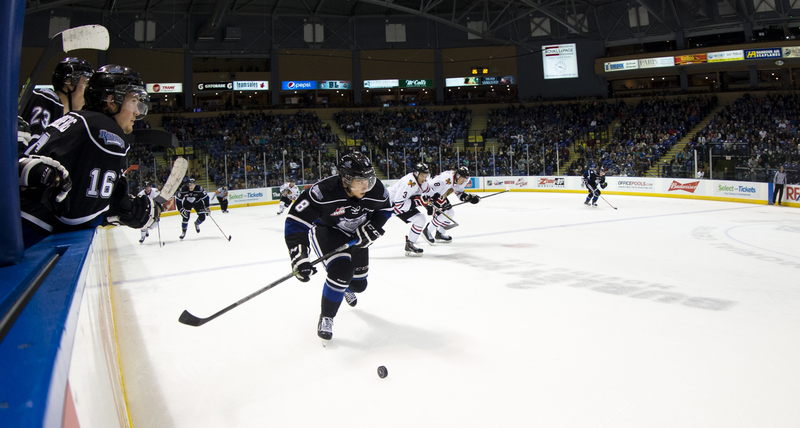 Victoria Royal Joe Hickets skates around behind Portland goaltender Michael Bullion. Hicketts finished the game with one shot on goal. A female fan laughs at a dancing Royals fan who through many t-shirts into the crowd. 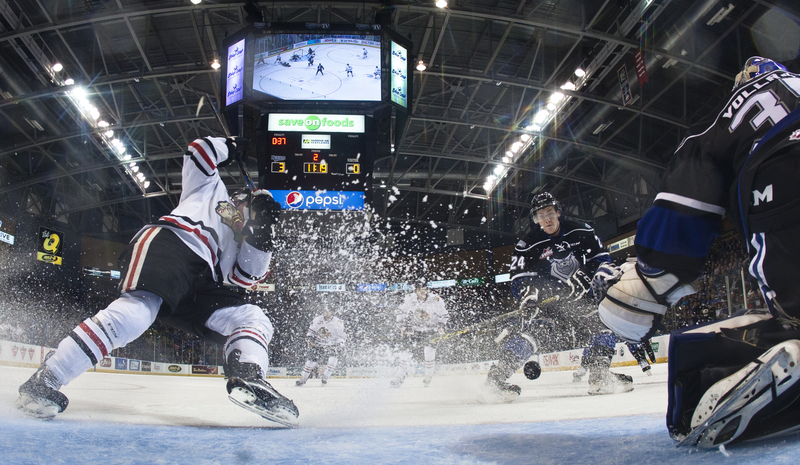 Victoria Royal Tyler Soy drives around Portland Brendan De Jong on Friday September 25 at the Save-on-Foods Memorial Centre in Victoria, British Columbia, Canada. 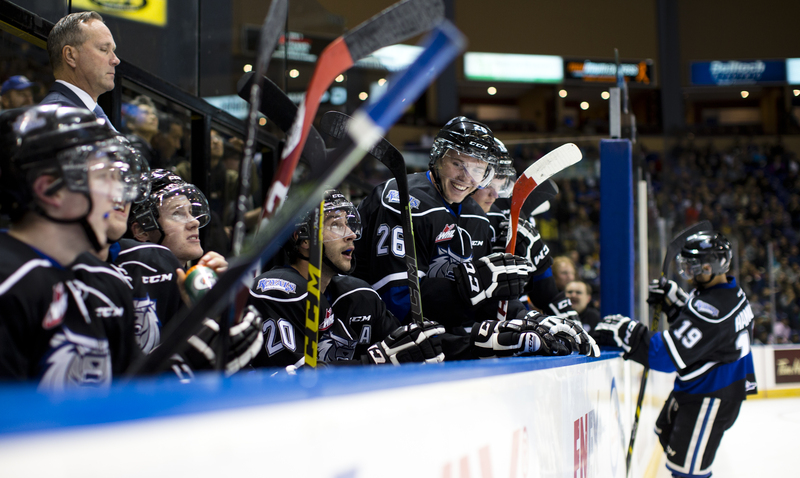 Soy finished the game with three shots on goal and four penalty minutes while De Jong had one shot on goal. 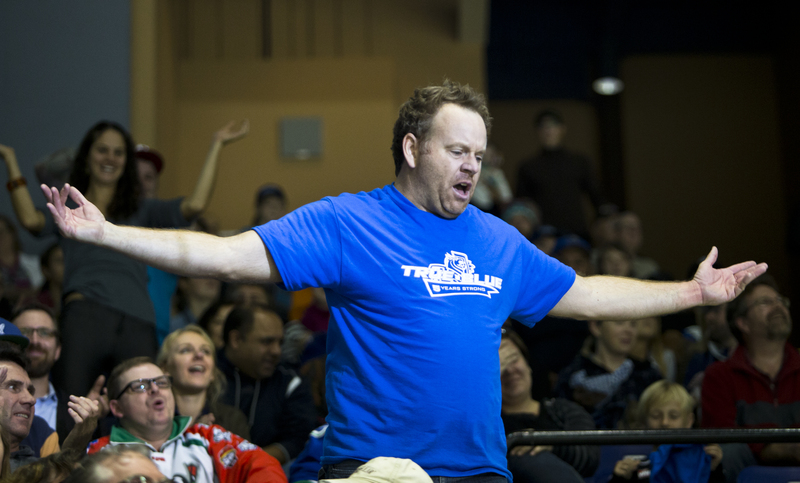 A Victoria Royals fan dances and gives out free t-shirt as the Royals beat the Portland Winterhawks 4-1 in the opening game of the 2015/2016 Western Hockey League season. Victoria’s Jack Walker opened the scoring with 1.3 seconds remaining in the opening frame off a feed from Alex Forsberg. Forsberg finished with three points and was named the first star of the game. 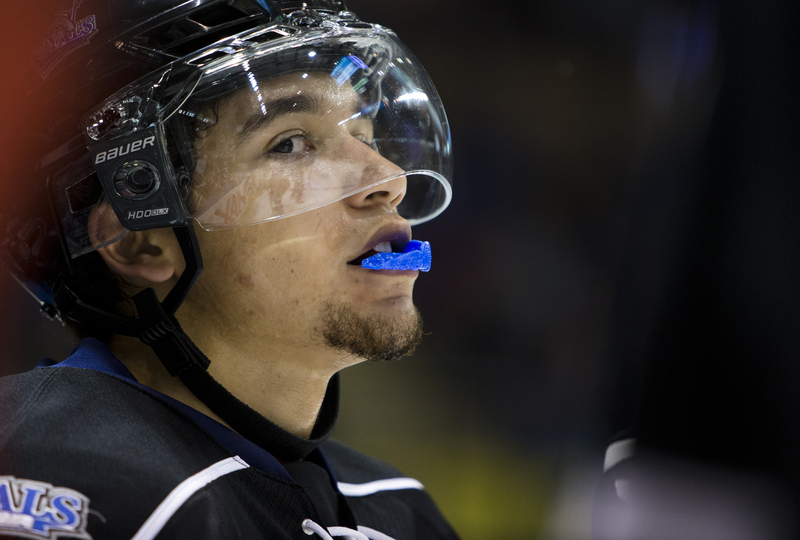 Victoria Royals forward Ethan Price gives his former teammates a look. Price played for the Winterhawks last season. 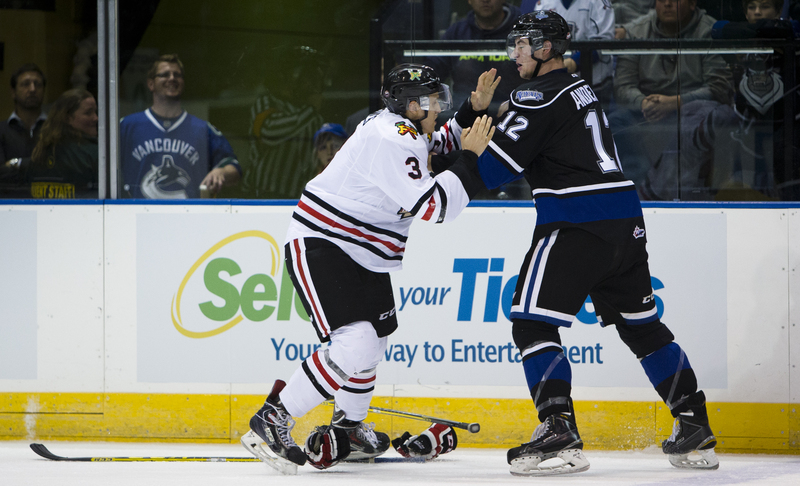 Portland Winterhawk defenceman Caleb Jones goes for the judo chop manoeuvre during a fight with Victoria Royal Keith Anderson. 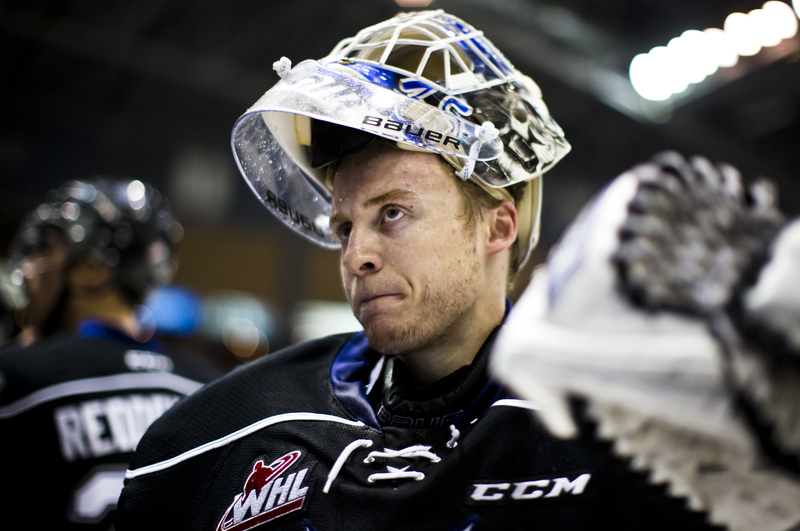 Victoria Royal Matt Dykstra is all smiles as the Royals beat the Winterhawks 4-1. 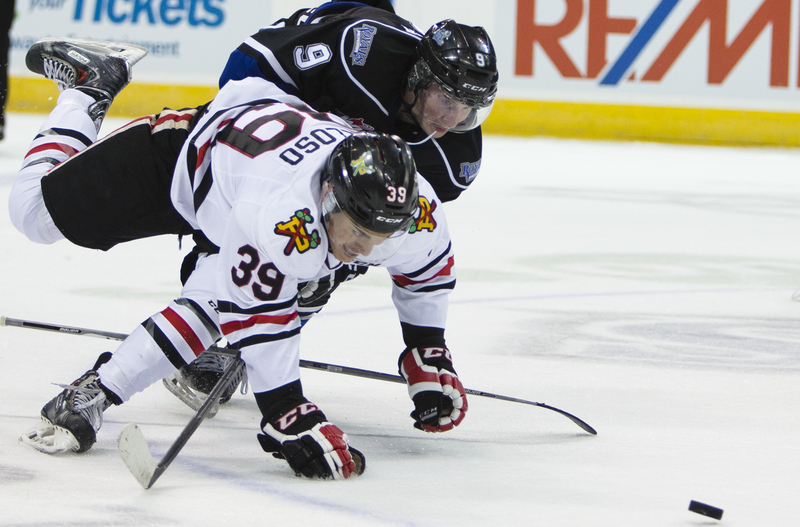 Portland Winterhawk Colton Veloso and Victoria Royal Jack Walker battle for the puck during their game at the Save-on-Foods memorial centre. Walker would finish the game a plus one with one goal. There was not much work for Victoria Royal goaltender Collman Vollrath who stopped 21 of 22 Portland shots with most of those coming from the less dangerous areas of the ice. 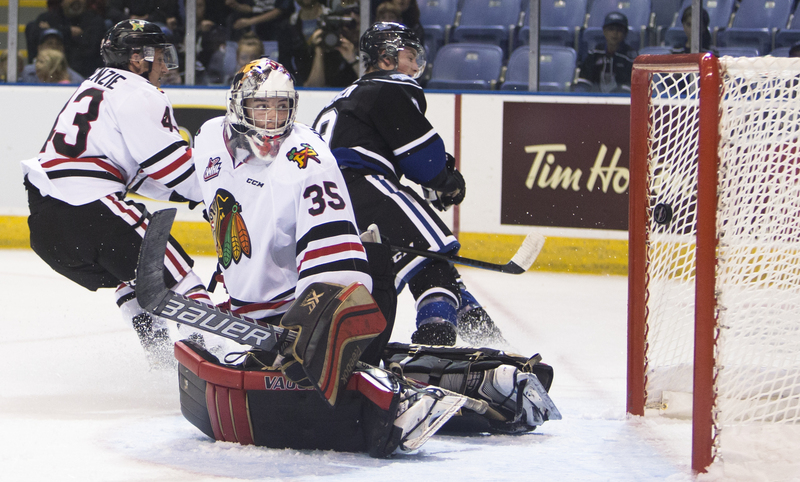 Victoria Royal goaltender Collman Vollerath makes a left pad save versus the Winterhawks as Royals captain Joe Hicketts clear the puck away from Portland alternate captain Alex Schoenborn. 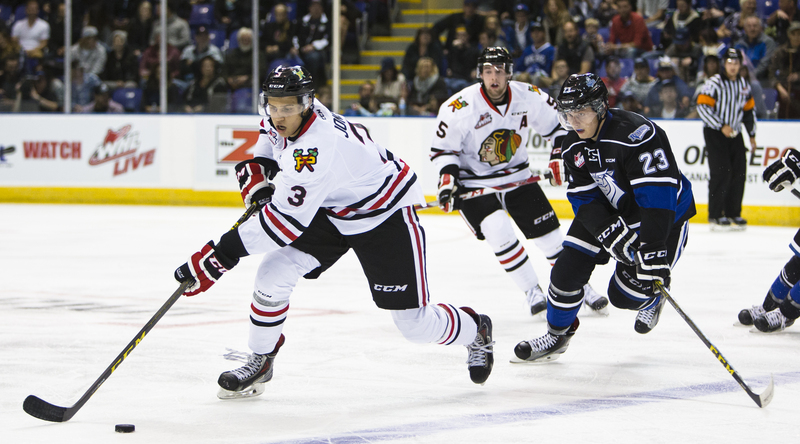 Winterhawk turned Royals Ethan Price skates the puck up the ice versus his former teammates en route to a 4-1 Victoria win. 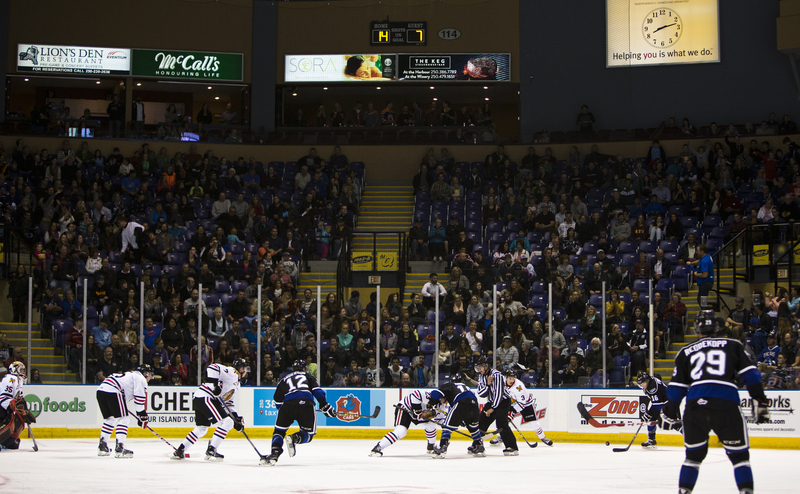 The Victoria Royals scored the first four goals of the game to defeat the Portland Winterhawks 4-1 in front of a boisterous crowd of 6,627 on Friday night to begin the 2015-16 WHL Regular Season. 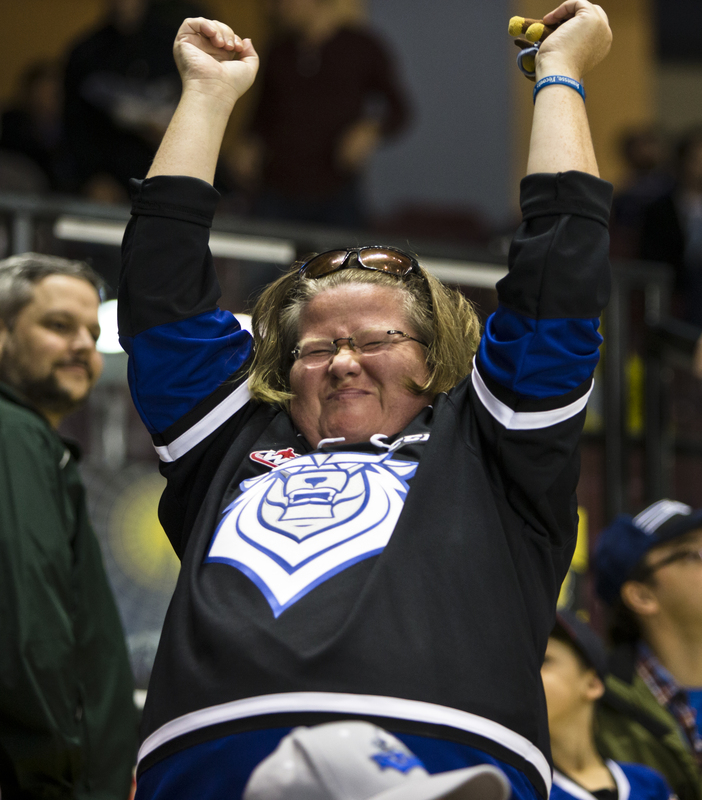 Fans went home happy as the Victoria Royals beat the Portland Winterhawks 4-1 in the opening game of the 2015/2016 Western Hockey League season. 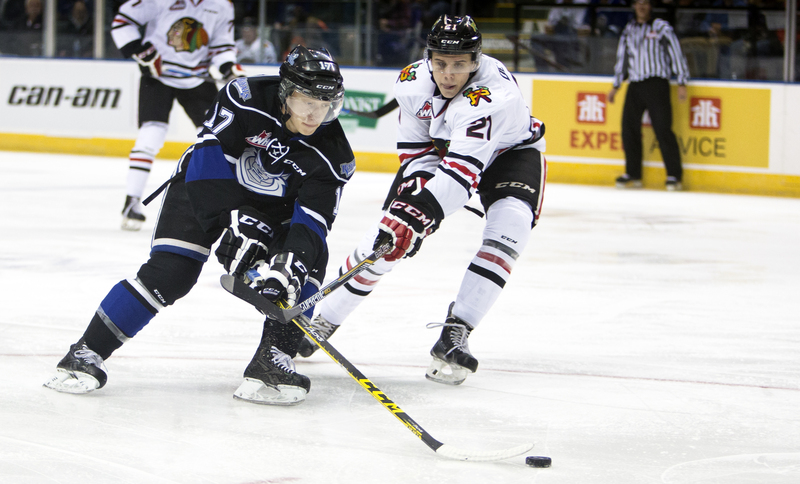 Victoria Royal Vladimir Bobylev tracks down Portland defenceman Caleb Jones. 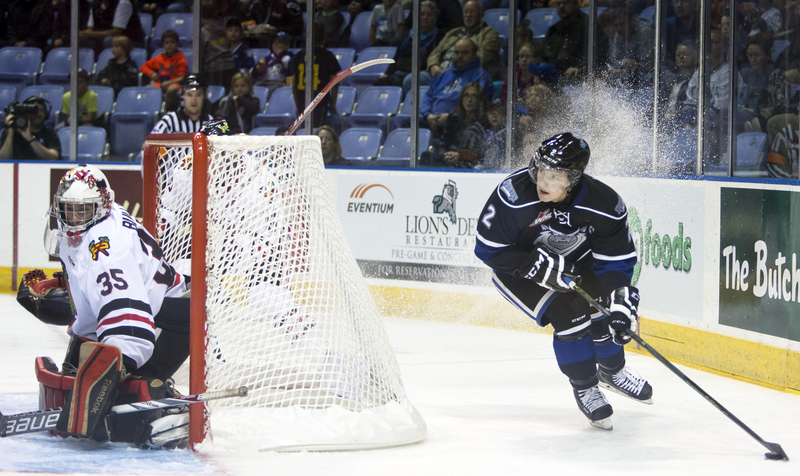 Jones finished an amazing plus 1 as the Royals beat the Winterhawks 4-1. 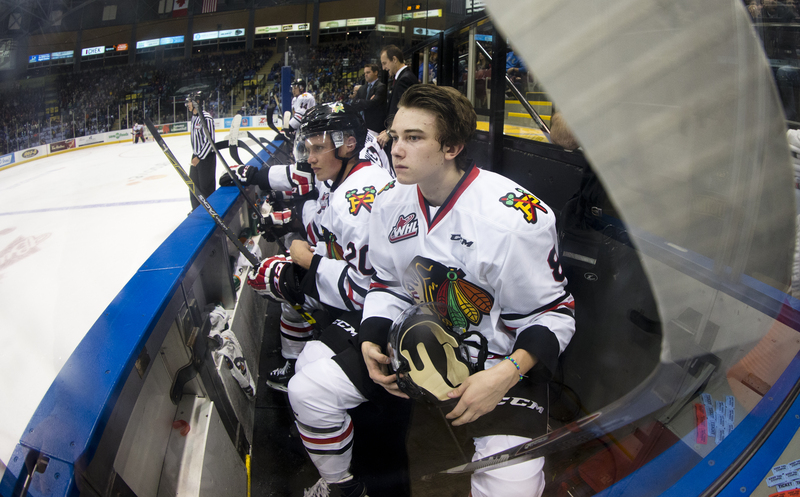 Portland Winterhawk Cody Glass leans his stick up against the glass disappointed with his teams start to the season. 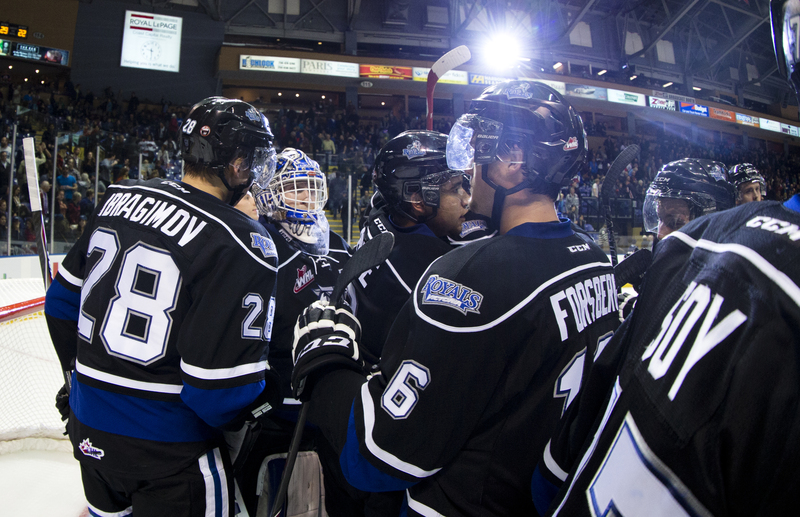 Victoria Royals crowd around their goaltender Coleman Vollrath as they beat the Portland Winterhawks 4-1 in the opening game of the 2015/2016 Western Hockey League season. 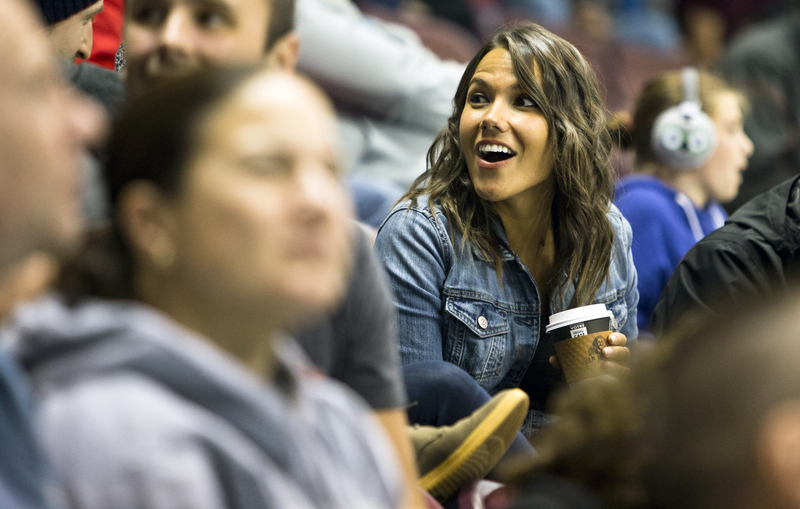 ← San Jose Sharks visit Colwood for Kraft Hockeyville.